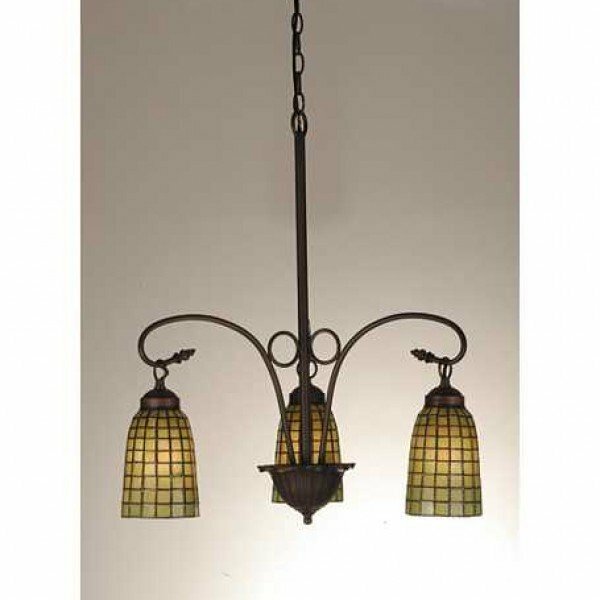 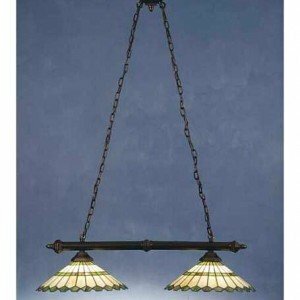 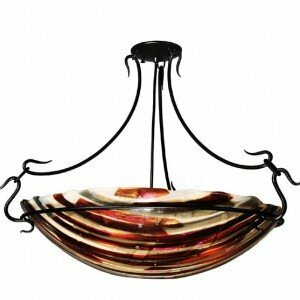 This honeydew green chandelier, with elongated, geometric style shades, is a unique Tiffany-style piece that would add the perfect touch to a dining room or kitchen. 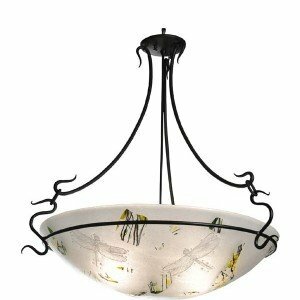 It is suspended from swirling and graceful metal arms, which offset the geometry of the green shades. 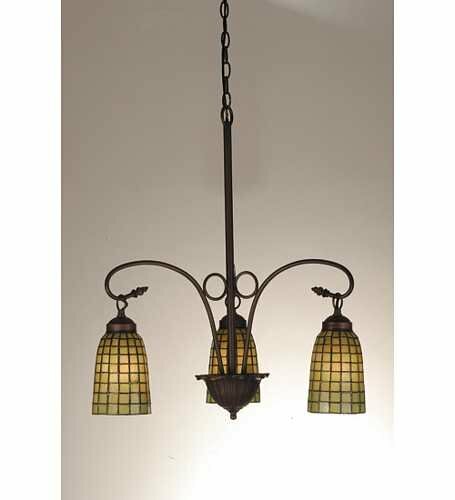 The chandelierâ€™s three shades are handcrafted, and will beautifully illuminate any area it graces with warm and subtle light. 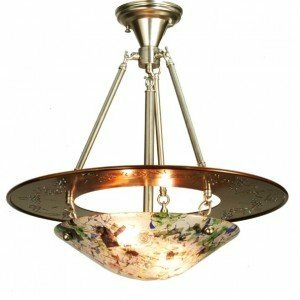 As with anything Tiffany styled, it can complement all decoration styles and can is a perfect selection to hang anywhere in your home.